AEEE Application Form 2017: The Amrita Engineering Entrance Exam is one of the University level entrance examination for people who seeking admission to UG Engineering course like B.Tech in Amrita University. Every year the University has been conducting the AEEE for admission. This academic year also, they going to conduct the entrance exam. So, the University was recently released the AEEE Application Form 2017 on their official digital web portal. The online AEEE Application Form 2017 will be available from 01st Dec 2016 and it will be end on 31st March 2017. So interested & eligible candidates are encouraged to apply on or before the end of submission date. For more detailed information about AEEE Registration Form 2017, keep touch with us. The candidates who are all want to take admission in various UG engineering programmes like B.Tech at Amrita University, are advised to apply AEEE 2017. If you qualified in the Amrita Engineering Entrance Exam, then you will get admission in the University. For further details, read this article carefully. The students who successfully completed 10+2 with required percentage from any authorized institution, can eligible to apply for AEEE 2017. The age restriction is available in the official notification of AEEE 2017 which is attached in our examlevel site. 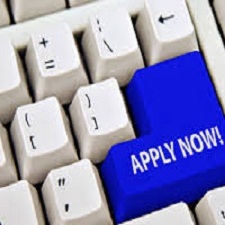 So before going to apply read the eligibility criteria carefully from the recognized site. To apply for the AEEE 2017, you have to pay Rs. 1,000/- as application fee. Mode: You can apply through both online & offline. You can logon the official website of Amrita University (www.amrita.edu). Then find & visit the link called AEEE 2017. Before going to apply scan your photograph & signature and read the eligibility criteria. Next fill the AEEE Application Form 2017 with required details. Upload your photo & signature in a prescribed format. After completed the payment process, submit the application form. You can purchase the AEEE 2017 application form directly from the University Counter of Amrita Schools of Engineering at Bengaluru, Amritapuri and Coimbatore. Next fill the hard copy of application form (use black ball point pen for filling up the AEEE Application Form 2017) and submit it to the below given address with demand draft of Rs. 1,000/- drawn in favour of "Amrita School of Engineering" payable at "Coimbatore". NOTE: The applicants are advised to write "B. Tech Application" , his/ her name & mobile number on back side of the DD. Coimbatore, Tamil Nadu - 641 112. Phone: 0422 - 2685169/ 170. The Online Application Available From: 01st December 2016. Last Date to Submit the Online/ OMR AEEE Application Form: 31st March 2017. Computer Based Test (CBT): 20th April to 23rd April 2017. Pen & Paper Based Test: 29th April 2017.